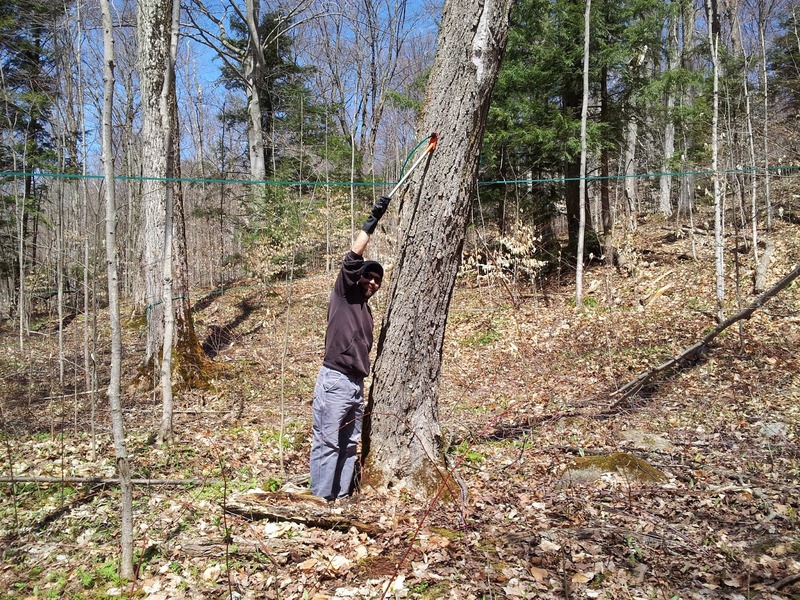 Sugar Maple: Clean Up Time! It's clean-up time at McCutcheon's! We are in the process of washing and taking down our lines, and cleaning up our equipment for next year. Now that the snow has melted, we are finding many spiles are now too high to reach! Jesse even had to build some special reaching tools for us so we can pull them out! would have to be tall to reach this one! We are no longer keeping regular hours at the farm, so if you would like to arrange a visit, please call (705) 835-5780. You can also find Ken & Rene at the Orillia Farmers' Market now, at the new library location on Saturday mornings.